In the first show, I open up and tell you little bit about myself and where I live. I’m in my pyjamas while I’m telling you about it. I also reveal the ‘fold-out sofa epiphany’ that woke me up to the notion of ‘everyday happiness’, how it impacted my life, the coaching practice, and how it might just matter to you. We ring in the new year on Episode 1, with a look at six dimensions that together make for a balanced and happy life. I offer a simple way to assess your level of personal satisfaction within each dimension and practical tips to start from exactly where you are to increase your daily happiness quotient. We’ll talk about “Soulsetting”, a potent process for setting and achieving meaningful heart-centered goals that are aligned with who you are and what you truly want. 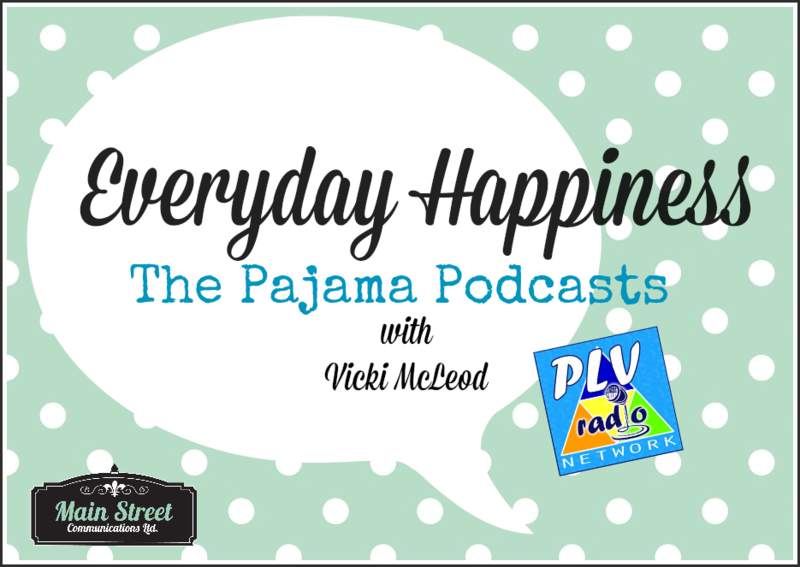 This broadcast launches Everyday Happiness, The Pajama Podcasts. Yahoo! Click here to go to the episode. A special thank you to Greg Stuart of Grene Genes Productions for tech support. How about you? What gives you everyday happiness? Join the conversation in the comments below.